Damon Albarn's animated superstars tour, The Now Now! 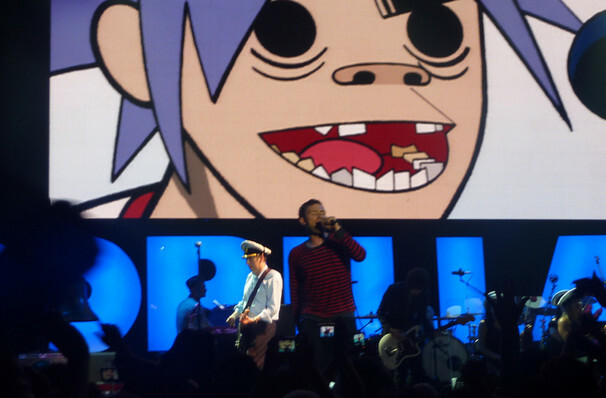 When Blur's Damon Albarn and animator Jamie Hewlett debuted their virtual rock/hip-hop band in the late nineties, many brushed it of as a novetly act. Since then, Gorillaz have grown to be one of the most respected and innovative bands in the world, drawing huge acclaim, and gifting the world more than a few iconic songs, from 'Clint Eastwood' to 'On Melancholy Hill'. 2018 sees the group set out on tour in support of their upcoming album, The Now Now. The tour which kicks off in Toronto, features support from Little Dragon and The Internet. Sound good to you? Share this page on social media and let your friends know about Gorillaz at United Center. 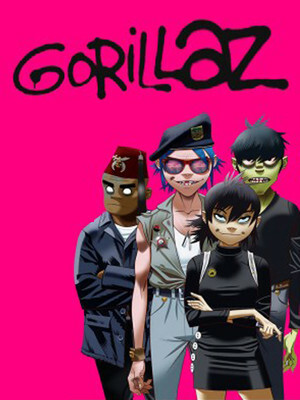 Please note: The term United Center and/or Gorillaz as well as all associated graphics, logos, and/or other trademarks, tradenames or copyrights are the property of the United Center and/or Gorillaz and are used herein for factual descriptive purposes only. We are in no way associated with or authorized by the United Center and/or Gorillaz and neither that entity nor any of its affiliates have licensed or endorsed us to sell tickets, goods and or services in conjunction with their events.